Cast acrylic plastic sheet is optically transparent, unaffected by moisture, and offers a high strength-to-weight ratio, and high light transmittance. 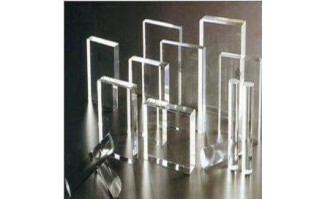 Cast acrylic sheets can be easily heat-formed without loss of optical clarity. Prolonged exposure to moisture, or even total immersion in water, does not significantly effect the mechanical or optical properties of this material.